The 7th arrondissement is home to AUP, so AUP families and students will quickly get to know this beautiful and classically Parisian neighborhood. It is home to some of the most iconic sites in Paris, including the Eiffel Tower. Here are our highlights! 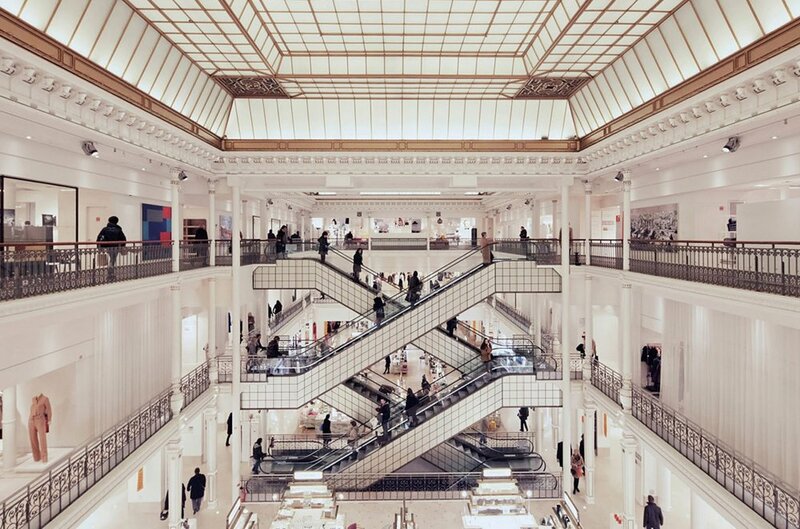 Le Bon Marché is one of the most prestigious department stores in Paris. From luxury fashion to housewares, they have it all! It’s also worth checking out their Grande Epicerie, which sells food products from all over the world, including many French regional specialties. Rue Cler. Just steps away from AUP, rue Cler is a charming cobblestone market street. You can try all kinds of wonderful French products here, from cheese to chocolate to wine. Rue Cler is also home to several lovely sidewalk cafés. Musée d’Orsay is one of the city’s most famous museums and is home to a vast collection of art from the 19th and early 20th centuries. They always have special exhibitions as well, which are usually worth the trip here. Musée Rodin is dedicated to the sculpture (and some paintings and sketches) of Auguste Rodin. This charming museum is home to many of his most iconic works such as The Thinker and the Burghers of Calais, some of which you can see by strolling around the museum’s large garden. Musée du Quai Branly. Opened in 2006, this museum holds collections of African, Asian, Oceania, and native American arts and civilizations, and regularly holds interesting temporary exhibitions. The museum is surrounded by a beautiful garden, best enjoyed from the patio of the museum café. La Fontaine de Mars. A classic French bistro both in terms of menu and aesthetic. Enjoy a traditional coq au vin or confit de canard served to you by a sharply dressed waiter. Excellent wine list. Flow Paris is a café, bar, and restaurant in a boat right on the Seine. The rooftop space offers an incredible view over Pont Alexandre III, Invalides, and the Eiffel Tower. Coutume Café has the reputation of having some of the very best coffee in Paris. They also serve a few simple dishes, along with cakes and pastries. Champs de Mars. This famous park surrounds the Eiffel Tower, but is worth exploring for its own sake. The large central lawns are an ideal spot for a picnic, and you’ll discover many small gardens scattered around the park. It is also a wonderful park for a jog! Berges de Seine. The city of Paris recently converted a long stretch of roadway right along the Seine into a unique park with something for everyone: places to picnic, cafés along the water, play areas for children, fitness areas, floating gardens, and more. The ambiance is lively and vibrant on sunny evenings.